Football Festivus has us in a giving mood! As we wrap up our first year here at Three Point Stance Magazine, we wanted to be the ones to give the gifts of season. 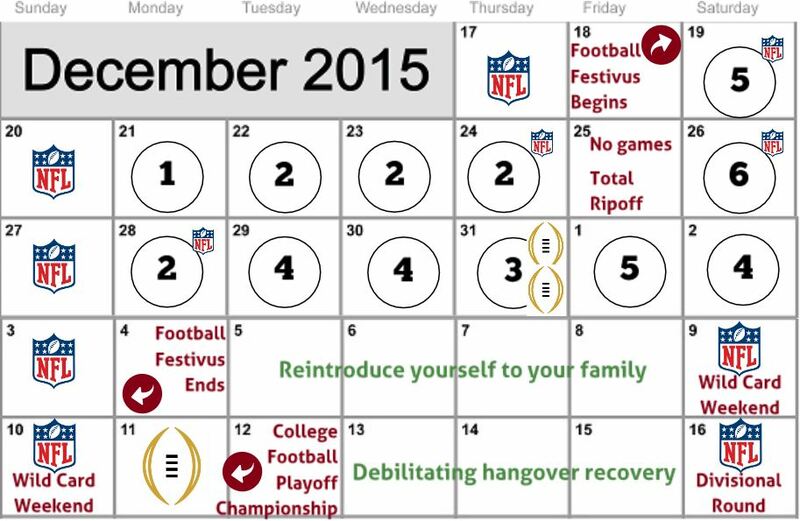 Saturday begins “The Most Wonderful Time of the Year” – FOOTBALL FESTIVUS! At least one game, every day, into 2016, and to celebrate we are giving our December issue, our bowl preview (and our largest EVER) for free! Get the December Issue here! If you like what you see and want to get more 3PSMag in your life, subscribe to a Season Ticket (also makes a great stocking stuffer)!